CUTTACK: With only a few days to go, the Netaji museum here is yet to come up with any concrete plan for celebrating the 115th birth anniversary of Netaji Subhash Chandra Bose on January 23 next. "Every year we add something new to the museum on the occasion of Netaji Jayanti, but unfortunately, this year there is no such programme. We had thought about setting up a gallery dedicated to the spiritual life of Netaji, but the project has not been completed due to delay in construction work," said J P Das, the curator of Netaji museum. Similarly, with the model code of conduct for the panchayat poll in force, neither the chief minister nor any other minister will visit the museum on that day. Every year authorities make elaborate plans to celebrate the day at the Netaji museum. The chief minister and other senior political leaders attend the programmes and address public meetings, but this year there would be no such event. It was also hoped that the much awaited light-and-sound show based on the life of Netaji would be inaugurated this year, but that project is still in limbo. Similarly, the tourism department had announced to set up an amusement park with boating facility in the periphery of the museum last year, but that project, too, is yet to take off. With no new projects to be inaugurated this year, the Netaji jayanti is all set to be a low-key affair and Cuttack denizens are quite upset about it. "Netaji was born here. So his birth anniversary means a lot to the city. It should be celebrated in a proper way to attract tourists to the city. But due to the callousness of the authorities, development of the museum has taken a backseat, and as a result, footfall to the museum is getting thinner and thinner with each passing year," said Bhaskar Dey, a resident of Odia bazaar area. 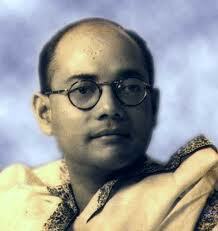 Netaji Subhash Chandra Bose was born in Cuttack on January 23, 1897. His ancestral house, the Janakinath Bhawan, in Odia bazaar area, where Netaji spent his early childhood, has been converted into the Netaji Birthplace Museum and exhibits memorabilia associated with the leader. The museum now has 15 galleries displaying rare photographs, letters written by the Netaji to his father and other family members during his stay in various jails, household articles used by Netaji, his uniform of the Indian National Army and many other rare artifacts.